I would like to take this opportunity to tell the Composite-FX family about a new addition to our organization. Over the years of growth in our company we have come to the realization our marketing needs have outgrown our abilities to keep up with the duties required to do it properly. I have always been a believer in picking the best personnel possible to complete the task at hand. So once the decision was made to hire some help, the first person that came to mind was our new marketing director Jessica Warren. I have known Jessica for about 10 years and have always been impressed with her marketing abilities and knowledge. 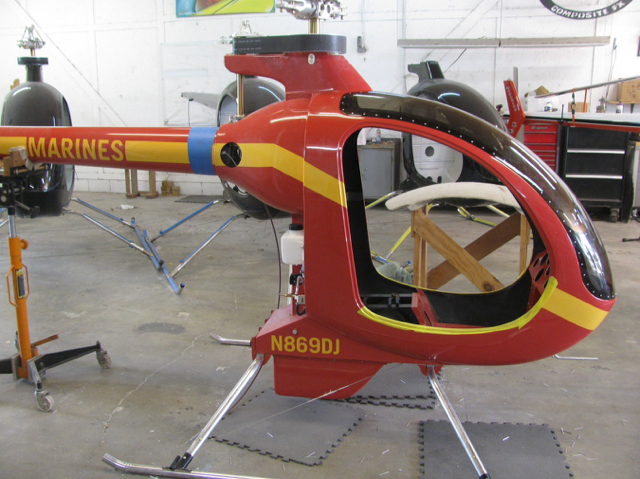 Jessica has several years of experience in rotor-wing marketing so she is not beginner at it. Over the next few weeks Jessica will be converting a lot of the digital media over and up dating information on them as well as coordinating fly-ins and air shows. We are looking forward to working with Jessica and believe our customers will see her as a valuable asset to the company as well. If someone out there has the machining tool or contact to machine an adapter to use an inexpensive, readily available starter for the MZ202, I am sure there will be a lot of us ready to buy the adapter. It is very expensive ordering the starter from Italy and ordering replacement brushes. Experimenting with Tapatalk for the first time. lors de mon dernier vol, en montée initiale, il y a eu comme un choc: "bang", mise en autorotation et poser sans problème. le moteur fonctionne bien, aucun bruit anormal, pas de monté en température. Je vérifie l'ensemble de l'hélico : pas de courroie cassé, ventilo ok, poutre de queue Ok, accouplement OK, gear box Ok, rotor et pales Ok, RAC Ok. Je n'identifie pas le problème. je décolle 50 cm et retourne au hangar tout doucement. tout semble normal. j'ai probablement tapé un oiseau=> balade à pied, j'inspecte la piste en long et en large, trouve effectivement quelques plumes mais rien de significatif. Déterminé, le lendemain je commence par une visite pré-vol de la machine et trouve le problème. Plus de roue libre. lorsque habituellement elle tourne libre à la main, plus moyen. j'entraine le rotor dans les deux sens. je suis bon pour changer Les roulements CSK-30-PP-2RS-C.
85 heures de vol, je vais donc profité de cet hiver pour démonter, inspecter toute la machine, remplacer l'ensemble des roulements et rotules. My love affair for everything rotorwing started with Magnum PI (TC's helo) and Airwolf! It has never stopped. While I was unable to realize my dream of flying helo's in the Army, I finally found my way into a military flying gig as an Aerial Gunner on the HH60G Pave Hawk. We performed combat search and rescue. Shooting from a helicopter might be as fun as flying one! That is me in the left door position. The gun was giving me some troubles. We also shot the minigun which was fun...until it broke! By the way, that whine you hear is the transmission and it was staggeringly annoying.